One of the most improved players in recent times, Ramit Tandon is the sole new face in the Indian men's squad for the forthcoming Asian Games in Jakarta in August. On the other hand, the women's team feature two newcomers in Tamil Nadu's Sunayna Kuruvilla and Delhi's Tanvi Khanna. Considering that the women's world team championship follows the Asian Games in China (Dalian) in September, it was decided that the same (women’s) team will participate there too. 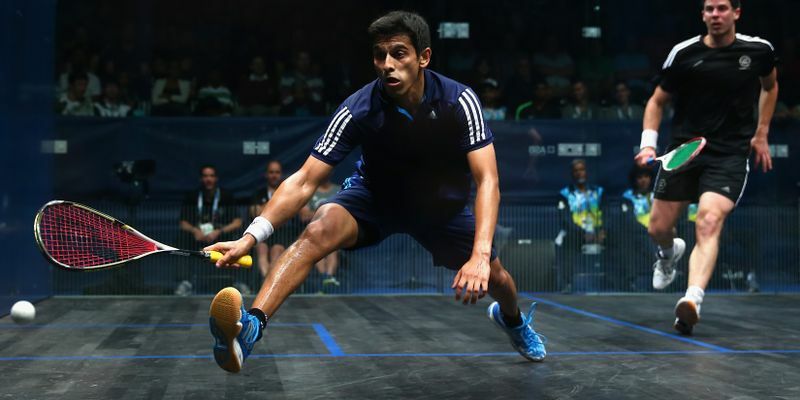 Experience is the strength of the contingent with the men's squad to be spearheaded by the highest ranking Indian in Saurav Ghosal and includes Harinder Pal Sandhu and Mahesh Mangaonkar. As always Joshna Chinappa and Dipika Pallikal Karthik pick themselves up automatically being the two high performing professionals to lead India's charge in the women's. The criteria that the SRFI adopted for selection in the men's section was to give weightage to players who have been regulars on the professional circuit and doing well too. With five of them (Vikram Malhotra is the fifth) in this list, the team composition was easy with June PSA rankings as the key parameter. As per the rankings then Saurav and Harinder as the top two will play both the singles and team event while Ramit and Mahesh will be part of the team event. In the women's section, the picture was different. With two high performing players and high rankers, Joshna and Dipika being there, it was clear the services of these two will be utilized for singles and team events. For the two remaining slots to fill for the team event, a wholesome trials were conducted at the ISA courts in Chennai over five days from June 5. For this, it was decided to call those players who had finished top four in the last national and those who have been participating in the PSA events. Under this criteria, the players who had attended the trials were Sunayna, Tanvi, Sachika Ingale, Janet Vidhi, Aparajitha Balamurukan, Urwashi Joshi and Riya Sisodia. A few others Akanksha Salunkhe, Lakshya R and Anaka Alankamony declined the invitation while Ashita Bhengra pulled out at the last minute citing injury. The Selection committee comprising, Mr K. Rajendiran, Secretary-General, SRFI, Mr Cyrus Poncha, National Coach, SRFI, Ms Bhuvneshwari Kumari, former national champion and official, SRFI and Mr Muneer Sait, Eminent Sportsperson (Olympian) decided on the Indian contingent at a meeting at the ISA on June 9.